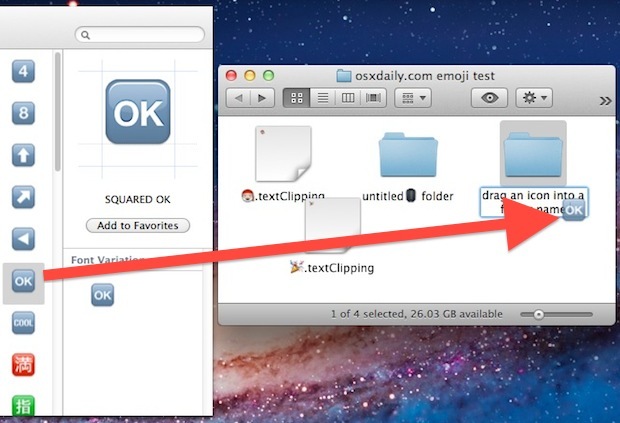 If you want to quickly style your folders or Launchpad with Emoji, you can access the Special Characters panel directly from the Finder in Mac OS X and then drag or enter those special characters or emojis into the folder or file names. 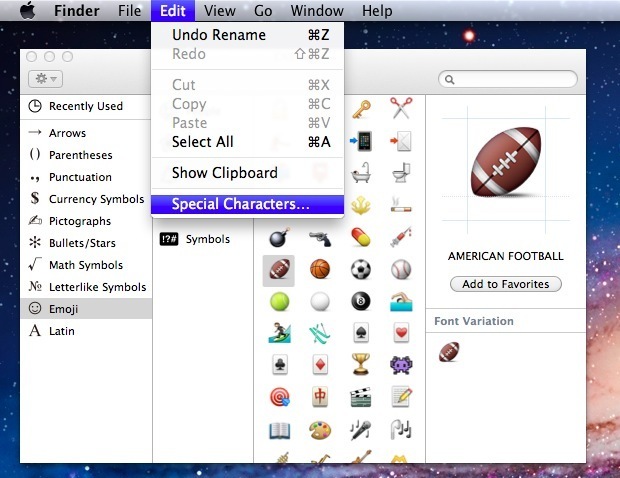 This will bring up the Emoji & Special Characters panel directly in the Finder on the Mac. Even with it’s quirks, this is quicker than using TextEdit or another app to access the Emoji icons. You can either just delete all the text after the Emoji character since it appears at the front of the string, or leave it as is if you want to see the unicode for some reason. Thanks to ram who left this tip in our comments! “Copy Character Info”, instead of getting just the icon into your clipboard you’ll get the Character Info. Is it possible to make my own ‘ Special Characters ‘ or Emoji? Please HELP. I could keep busy for days making my own. Or just double-click the character and it will be auto-pasted to active text window.